One thing that might worry you about living on Cape Cod is the rumored lack of year-round dining options. You may have heard that most restaurants close after Labor Day, leaving you without anywhere to go when searching for a meal out. The truth is that although many waterfront restaurants in tourist areas, including clam shacks and take-out establishments, close for the winter, there remains an abundance of eateries for locals to frequent. These venues are open in every month and on every section of the Cape, leaving you with a vast assortment from which to choose. You’ll notice that many of the following year-round restaurants on Cape Cod have been open for decades and that’s because locals continue to support them year after year because of their top-notch quality and outstanding service. 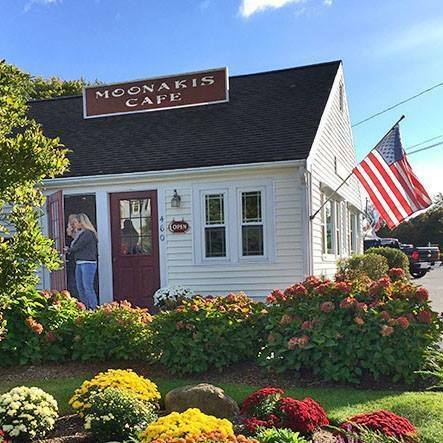 Located on the Waquoit Highway in East Falmouth, the Moonakis Cafe is a roadside diner with vintage decor that attracts a local crowd for breakfast and lunch. The restaurant opens at 6:30 AM every day of the week and stays open until 1:30 PM, except on Sundays when it closes at 1:00. The diner only accepts cash payments, so plan ahead if you're looking for one of the Cape's best breakfast experiences. If you live close to Hyannis, you’ll have to check out Sam Diego’s on Iyannough Road at some point because it has been known as a meeting place for locals during the offseason since 1982. The Mexican decor throughout the building gives it a tropical feel and festive atmosphere, which can act as an escape from the cold of the winter. Another great thing about visiting this restaurant is that the kitchen is open until midnight all year round, so if you're in search of a late night meal, this is the place to go. The hours of operation at Gerardi's Cafe are a little more limited than other restaurants on this list, as they are only open for dinner from Wednesday through Sunday. Having said that, this upscale eatery in South Yarmouth has provided some of the best Italian cuisine on Cape Cod for nearly 20 years and hosts special events with prix fixe options throughout the year. There's an early bird prix fixe menu every night before 5:30, as well. Right along Route 6A in East Dennis is Grumpy's, a family-owned and operated establishment that has been around since 1991. The restaurant serves breakfast and lunch between 6 AM and 2 PM, seven days a week, and specializes in home-style cooking with large portions. Take-out is available, as well. One of the younger establishments on this list, having opened in 2005, the Hot Stove Saloon in Harwich Port has quickly made a name for itself as one of the Cape’s best places to watch a sporting event. It probably doesn't hurt that the restaurant is decorated with historic baseball memorabilia, some of which is over 100 years old, and, therefore, is like stepping through a time portal from the second you enter its Harwichport location. If you’re looking for somewhere to watch the game, Hot Stove Saloon is worth a shot. Down on Main Street in South Chatham, you'll find The Talkative Pig, a restaurant serving salads, sandwiches, shareable plates, pizza, and dinner entrees. The venue is open Tuesday through Saturday from 11:00 AM during the offseason and serves breakfast starting at 7:00 AM from July 4th until Labor Day. You'll find an extensive wine list and local beer here, too. The Beacon Room on West Road in Orleans is open every day of the week, all year round. The restaurant serves lunch between 11:30 AM and 3:00 PM, while dinner starts at 5:00 PM. 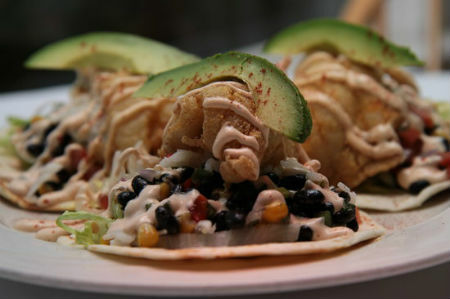 The lunch menu is made up of seafood, sandwiches, salads, and burgers, while you'll find meat, poultry, pasta, and vegetarian options added to the dinner list. There's also an extensive wine inventory, should the mood strike you during your night out in Orleans. Since opening in 1988, Montano's has been one of the Cape's top sources of authentic Italian cuisine. The chefs at this North Truro restaurant cook everything from scratch, with the pasta, sauces, and pizza dough crafted in-house and made-to-order. Located on Route 6A, the establishment is a favorite with locals and open for dinner every day of the week starting at 4:30. Up in Provincetown, Ciro & Sal's brings Northern Italian cuisine to Cape Cod. The restaurant is housed in a dimly-lit, brick wine cellar, creating a unique atmosphere for guests, and has one of the Cape's most extensive wine catalogs. There's a prix fixe early bird meal before 6:30, or you can order off the menu later in the evening. Located on Kiley Court, just off Commercial Street in P-town’s Gallery District, Ciro & Sal's is open all year from Thursday through Sunday for dinner. As you can see, you’ll never be without great dining options during the fall, winter, and spring on Cape Cod, as there are outstanding local restaurants open every month of the year. Rest assured, if you have a hankering for wonderful cuisine cooked by some of the Cape’s best chefs, you won’t have to wait for the busy season for the restaurants to open. And better yet, you'll find it far easier to get a table after the crowds disappear for the winter.